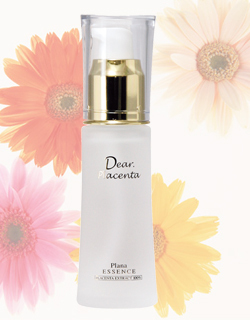 A rich, high-quality beauty serum that contains 100% placenta liquid concentrate. A rich concentrated beauty serum with placenta extract and a growth factor that reconstructs damaged inner skin tissues. It works on inner skin and diminishes dark spots and wrinkles. Use morning and night after cleansing. Press the pump once and apply where needed. Reapply to the areas showing dark spots and wrinkles if needed.